Dallas Cup Partners with KICKTV to Stream Games Internationally | Dallas Cup, Inc.
KICKTV will stream Sunday’s opening day quadruple header headlined by English giants Manchester United facing off against Mexican powerhouse Club America live at 6:30PM central time. Additionally, Wednesday’s doubleheader, Friday’s semifinals and next Sunday’s championship match will all be shown live internationally. “We are delighted to partner with the “Dallas Cup tournament” and bring a global audience closer to an elite youth clubs competition” said KICKTV General Manager Julien Segui. “These kids play for the some of the most prestigious clubs in the world and we wanted to share their experience by delivering a live stream of 9 premier match-ups”. While the live KICKTV streams will be blacked out for American viewers, games will be archived and available 24 hours after completion on the KICKTV Platform. Our American fans wishing to watch the games live can find them on television in HD via our long-time TV partner, Time Warner Cable. For the full Dr Pepper Dallas Cup 34 schedule, brackets and ticket information, head to dallascup.com. About KICKTV: KICKTV is the #1 soccer channel on YouTube for original content. With over 350,000 channel subscribers and 40,000,000 views since its launch in February 2012, KICKTV delivers rich and engaging soccer content to a passionate and growing global audience. Providing fans with a unique experience, KICKTV mashes up the beautiful game unlike any other channel on YouTube offering original series, highlights, classic matches, lifestyle features, films and documentaries. 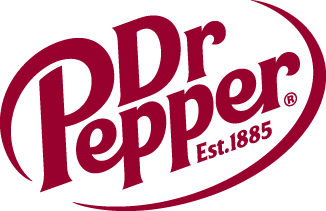 Dr Pepper Dallas Cup is considered one of the most prestigious international youth tournaments in the world, celebrating its 34th year in 2013. Dallas Cup contains seven age groups from U13 to U19, and entertains on average more than 100,000 spectators during the week. Since its inception in 1980, Dallas Cup has played host to teams and referees from over 45 states, 100 countries and 6 continents. Visit dallascup.com for the latest news.